I am a big fan of stop-motion animation, be it in features like Nightmare Before Christmas (1993) or in live-action movies such as Sinbad and the Eye of the Tiger (1977). There’s something intrinsically special about making inanimate objects (usually puppets or figures made of clay) seem as if they’re moving, filmed frame by frame over months or even years. It’s a painstakingly long process that feels real because it actually is, and while I have nothing against computer animation, I’m in awe of the stop-motion wizards who are able to pull off such whimsical flights of fancy as fighting skeletons or giant peaches. Shaun the Sheep Movie is another gem from Aardman Animations, makers of the awesome Wallace and Gromit (1990-2008) franchise. 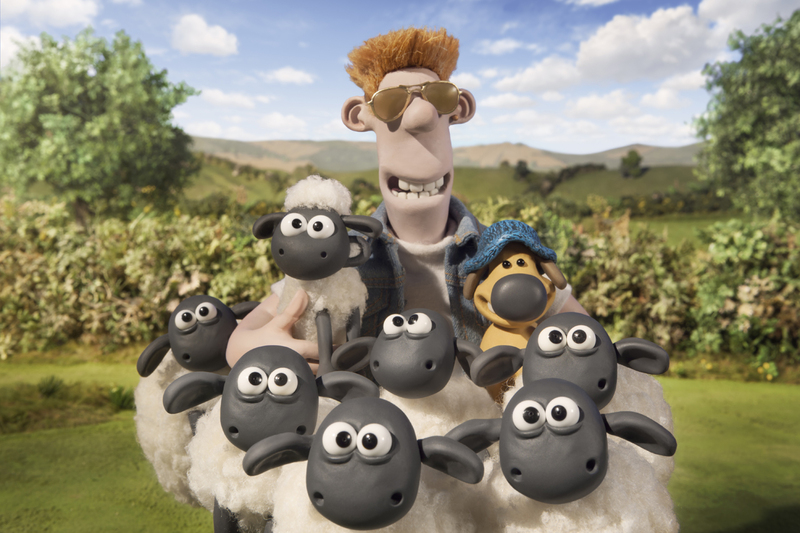 The film continues the 130 TV episodes of Shaun the Sheep, with the flock, bored of their tedious farm life, concocting a plan to have a day off. The scheme goes hilariously awry and the sheep, their farmer, and the farmer’s dog, Blitzer, end up lost in the city. Their adventures are both refreshingly simple and imaginative: Blitzer dresses up as a doctor and attempts to operate a man; the sheep try (rather unsuccessfully) to pass themselves off as human in a prissy restaurant; the farmer accidentally transforms into a celebrity hair stylist. It’s truly delightful, and what’s more, there is no dialogue to speak of. Like the best silent films from Buster Keaton or Charlie Chaplin, you’ll laugh yourself silly… and then go home with a wondrous smile on your face. Side note: If you’re into stop-motion, I can’t recommend enough 2011’s documentary on legendary animator Ray Harryhausen, Ray Harryhausen: Special Effects Titan.